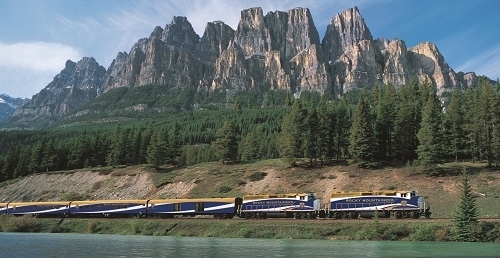 Canadian Rockies Rail Circle – The Great Canadian Travel Co. This ten day rail experience takes you to the most sought after places in the Canadian Rockies to experience nature—from mountains to moose, gondolas to glaciers—up close. Prices are shown in CA$ per person based on two people sharing a double cabin and hotel room. Single rates may be available on request. 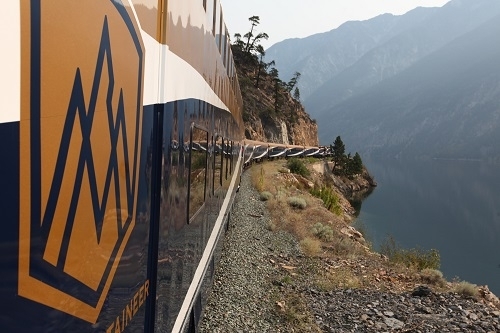 Travel onboard the Rocky Mountaineer from the coastal city of Vancouver to Kamloops. You will see dramatic changes in scenery, from the lush green fields of the Fraser Valley, through forests and winding river canyons surrounded by the peaks of the Coast and Cascade Mountains, to the desert-like environment of the BC Interior. Highlights include the rushing waters of Hell’s Gate in the Fraser Canyon and the steep slopes and rock sheds along the Thompson River. This morning explore Banff on your own. After lunch, enjoy a half-day sightseeing tour of Banff and Banff National Park including Bow Falls, the Banff Gondola (admission included), Lake Minnewanka, Surprise Corner and the Hoodoos. Climb Sulphur Mountain in a record-breaking eight minutes and get a bird’s-eye view of six mountain ranges. Sorry, did we say ‘climb’? We mean ‘ascend in style’ in your fully enclosed four-passenger gondola cabin! Phew! If you’re keen to break in your hiking boots, try the 1-kilometre self-guided walk along the summit ridge and keep your eyes open for bighorn sheep and various bird species. A half-day tour takes you into Yoho National Park to view some of its natural wonders, including the Spiral Tunnels, Emerald Lake, and a natural rock bridge that spans the Kicking Horse River. The tour ends in Lake Louise where the remainder of the afternoon is at your leisure. Enjoy a sightseeing tour of Banff and Jasper National Parks via the Icefields Parkway. Highlights include Bow Lake, the Columbia Icefield, and Athabasca Falls. At the Columbia Icefield, ride on an Ice Explorer to the middle of the Athabasca Glacier. Tour the Athabasca Glacier in a giant six-wheel drive Ice Explorer vehicle while your guide explains the history of this ancient glacier and points out interesting geological features. Think of it like a “monster-truck meets glacier” adventure where you learn new things! Arrive in Jasper late this afternoon and overnight. 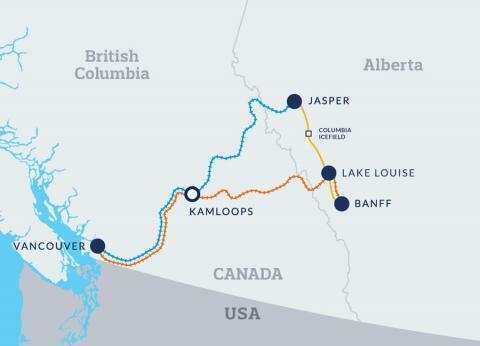 Travel onboard Rocky Mountaineer to Kamloops. You will be surrounded by the dramatic scenery of the Continental Divide and by the river valleys of the Monashee and Cariboo mountains. 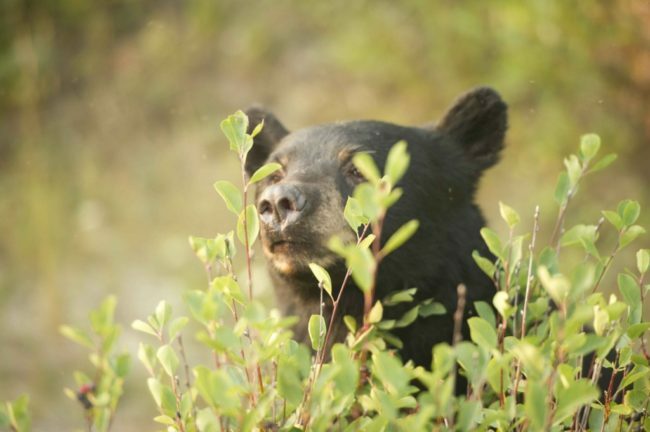 Highlights include Mount Robson, Pyramid Falls, Yellowhead Pass, and the journey along the North Thompson River. You may choose to add on extra days in Vancouver before or after your rail journey. Please ask us for the options to add in extra nights of accommodation and any optional tours you may wish to take. 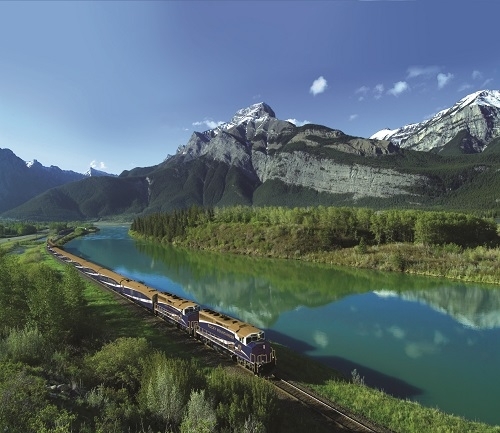 Explore the Canadian Rockies by rail. 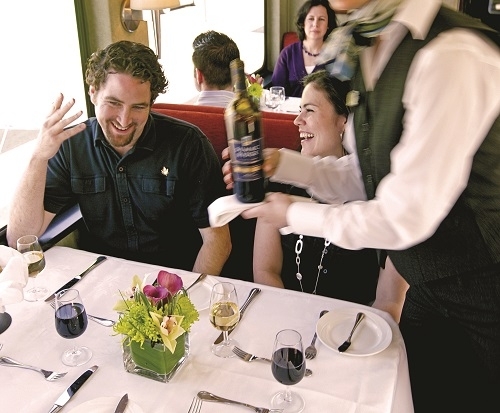 Experience three train routes that carry you off on a sightseeing sojourn from alpine-inspired Whistler and Banff, to the wildlife-rich stomping grounds of Jasper and back to the Pacific Ocean’s stunning coastal city of Vancouver. Unwind in a classic rail experience in custom-designed, single-level dome cars with roomy, reclining seats. Don’t miss a minute of action through the oversized, domed windows and from the outdoor, viewing platform located between coaches. Enjoy a selection of delicious hot entrées, plated to your preference and served in the comfort of your seat. Relax with on-board complimentary alcoholic and non-alcoholic beverages and gourmet snacks. Two hosts plus a culinary team and full commentary will ensure your experience has a silver lining! The hotel accommodation with SilverLeaf Service is in comfortable hotels with restaurants on the property or within walking distance. 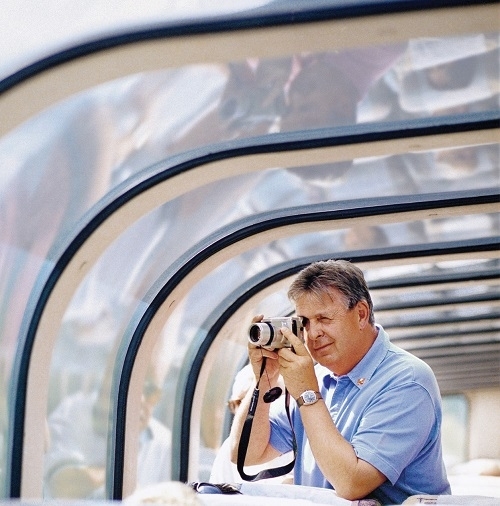 Sit back, relax and soak in the unparalleled panoramic views from our custom-designed bi-level GoldLeaf Dome Coach. The GoldLeaf coaches feature full domed windows with panoramic views upstairs and a private dining room on the lower level with large picture windows. There is also a large, exclusive open-air vestibule for added viewing and photography opportunities. Indulge in delectable gourmet à la carte meals served in the dining room. Relax with on-board complimentary alcoholic and non-alcoholic beverages and gourmet snacks. Three to four hosts plus a full culinary team and full commentary will ensure you have a golden experience from beginning to end! The hotel accommodation with GoldLeaf Service is in luxurious hotels with premium room category and restaurants on property except in Kamloops and Quesnel where all accommodation is charming but of moderate standard and cannot be upgraded. Gold Leaf Deluxe consists of all of the features of Gold Leaf service on-board the Rocky Mountaineer, plus upgraded hotel accommodation to deluxe hotels with superior views and/or larger rooms, except in Kamloops and Quesnel where all accommodation is charming but of moderate standard and cannot be upgraded.